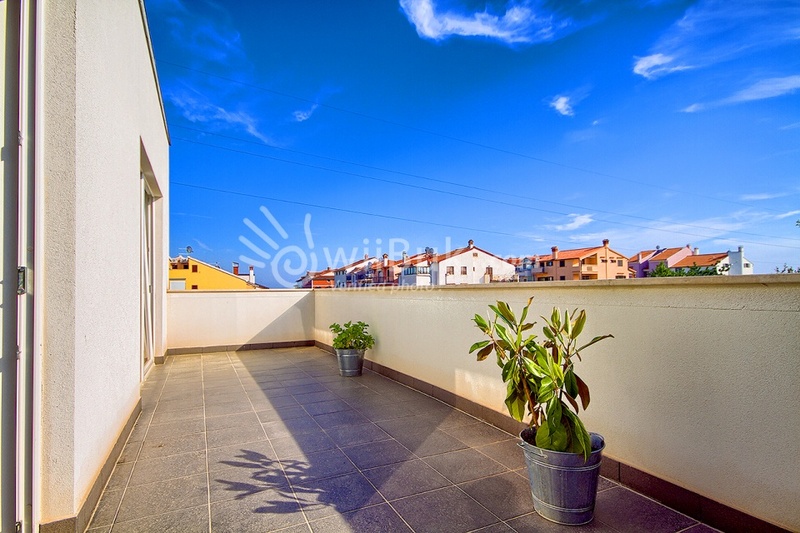 This villa is located in Rovinj, only 1.5 km from the town center and 700 m from the nearest beach. 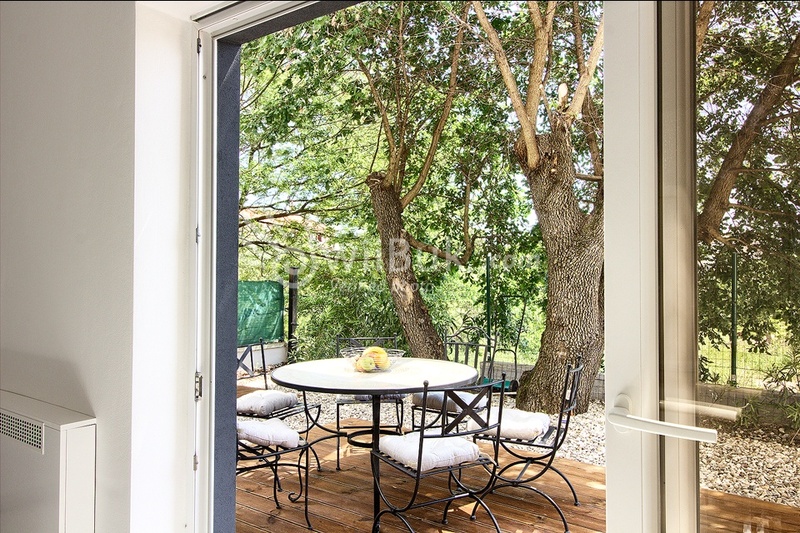 In contrast to most holiday homes in Istria, this is a modern furnished house with sunshine throughout the day. 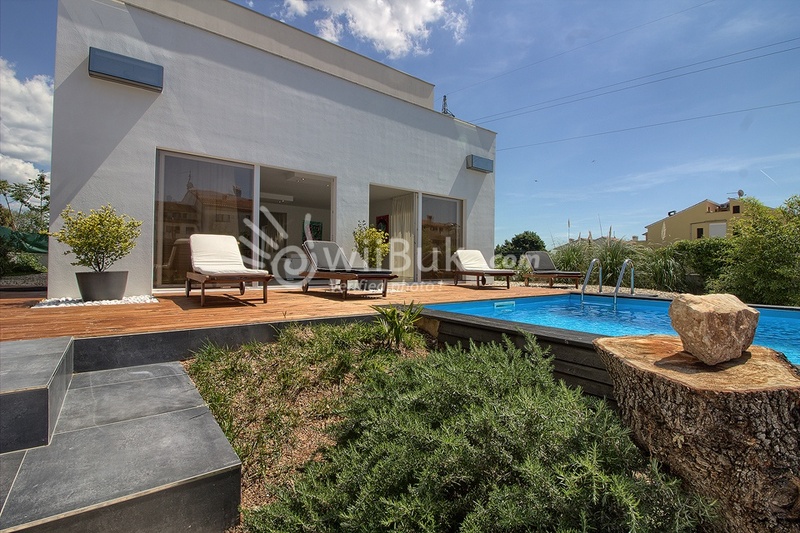 The beautiful designed garden and pool area can be accessed directly from the living room. The furniture and equipment are of high quality. The garden offers complete privacy. 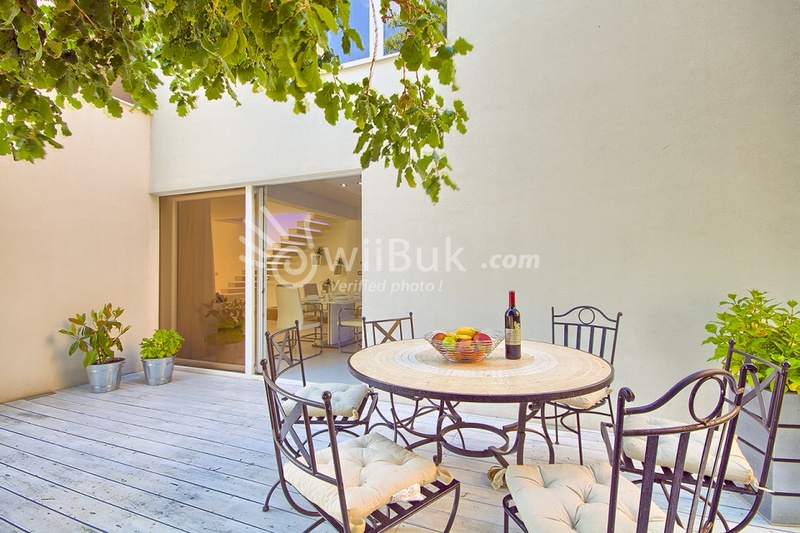 You will find a barbecue and 3 terraces, first-class garden furniture and enough space to find a place for yourself. Villa Brigita has a nice outdoor kitchen with barbecue on gas and charcoal. 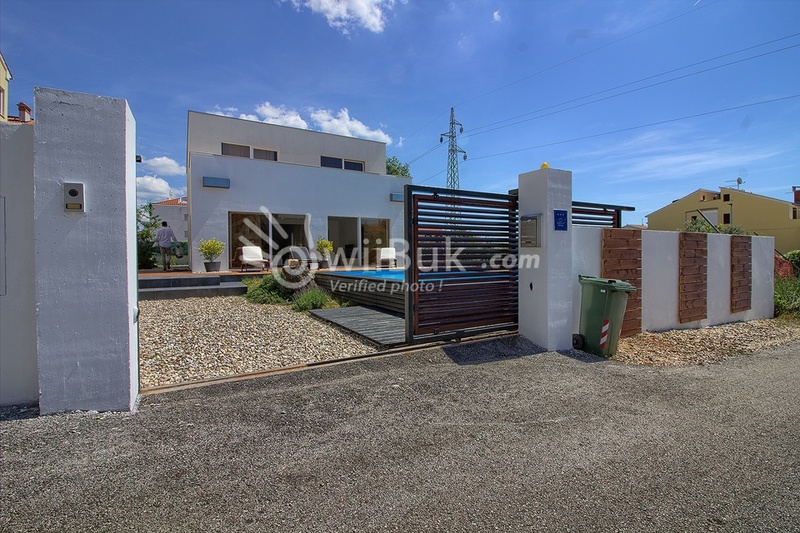 This Istrian villa has 3 bedrooms and 4 bathrooms. All bedrooms are on the second floor and all bedrooms have their own bathroom. The house is ideal for families and groups. 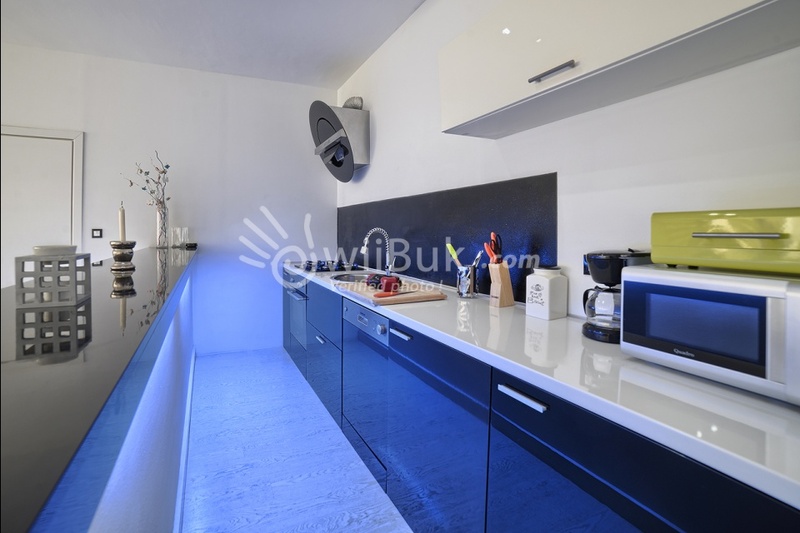 The villa is air-conditioned and equipped with the most modern appliances. You will also find a grocery store in the immediate vicinity of the house (100m). One well behavied small size pet is allowed, with an extra charge of 50 eur per week. For the season 2019, the interior bathroom and living room with marble tiles Marmo di Carrara will be redesigned. 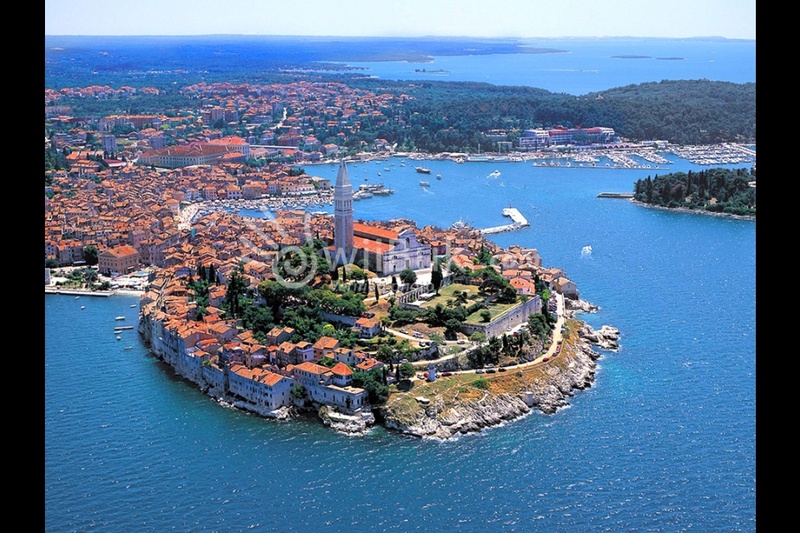 Who does not know, photos of Rovinj succeed practically always. Whether you on receiving the small peninsula the old town and the huge church bell tower of the city's patron, St. Eufemia, photographed from shore or picturesque details of the buildings and streets of the old town. Rovinj forgets no one who has ever visited. 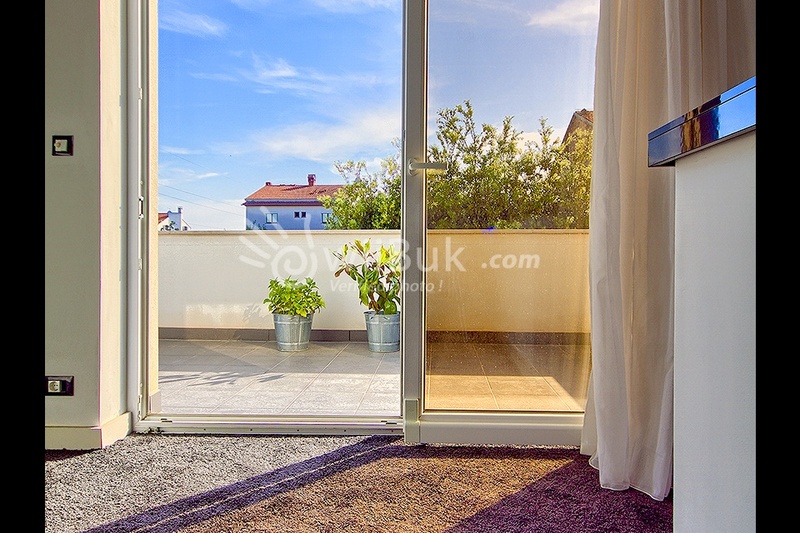 Especially when you can enjoy all the conveniences of the city and the surroundings to the fullest, in order to subsequently can retreat to one of our beautiful holiday rentals with pool in the Rovinj Riviera. Who stayed at home, you can send the photos immediately online. All of our villas with pool near Rovinj have free, unlimited Wi-wireless (Wi-Fi) Internet. Rovinj offers wonderful and varied beaches with numerous opportunities for active recreation and other attractive photos. Along the coast of the city are some of the best bars in the country and probably the best beach in Croatia. Here you should treat yourself to a romantic sunset with imaginative cocktail is essential. Or local sparkling wine with oysters. Definitely should be some tastings at local vineyards and olive oil producers whose products can then wonderful poolside. For, often free, tastings you get to know not only the product itself, but also people and customs of the region. The entrained in the tasting products can be tried again at a barbecue by the pool with family and / or friends. Everything you need for a successful barbecue, can be easily in any of supermarkets, including some of well-known at home, get in Rovinj. 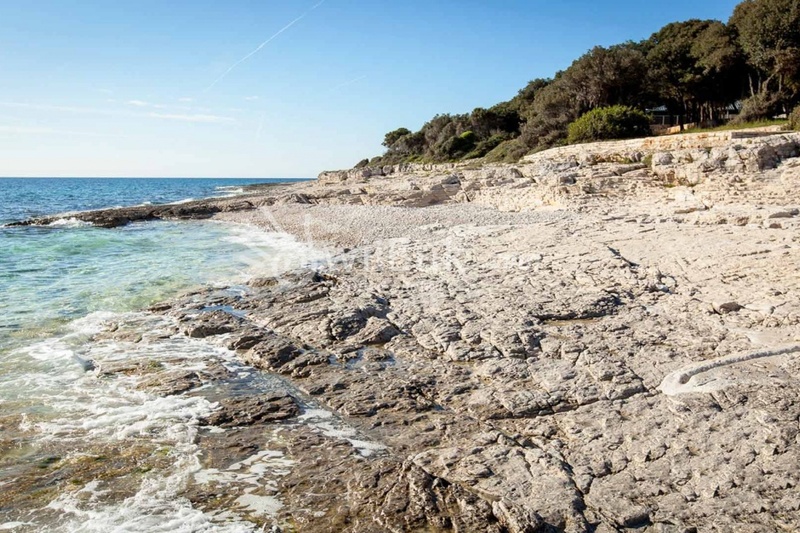 The popular resort is located on the west coast of the Istrian peninsula and is within 6.5 hours from example. Munich reached. The Riviera of Rovinj also offers much for nature lovers, such as the Lim Fjord and the ornithological reserve Palud, the park forest Zlatni Rt and much sea. Wir waren zu viert im August zu Gast. Eine wirklich tolle Lage neben einigen Ferienvillen aber wir hatten nie das Gefühl es wäre beengt. Gute Aufteilung der Schlafzimmer, echte Luxus. Es war alles vor Ort. Wir konnten nach Absprache um einiges früher einchecken. Wir wurden von der Familie mit selbstgemachten Köstlichkeiten empfangen und fühlten uns sofort wie daheim. Alles in allem volle Sternzahl verdient. Prachtige villa. Alles was nog mooier dan op de foto's. De eigenaar heeft ons verwelkomt met een flesje cava, een glaasje fruitsap voor de kinderen en een gevulde fruitmand. Alles was aanwezig van badslippers tot afwasblokjes. Heerlijke ligbedden met handdoeken en een tof zwembad. Een top ingerichte keuken. De kleine straatjes met lekkere restaurants. Ein toller Urlaub in Istrien, perfekte Lage, ruhig, sauber, in unmittelbarer Nähe zum Strand und vielen anderen Sightseeing-Aktivitäten. Wir lieben es!